Krems an der Donau [kʀɛms an dɐ ˈdoːnaʊ̯] is a town of 23,992 inhabitants in Austria, in the federal state of Lower Austria. 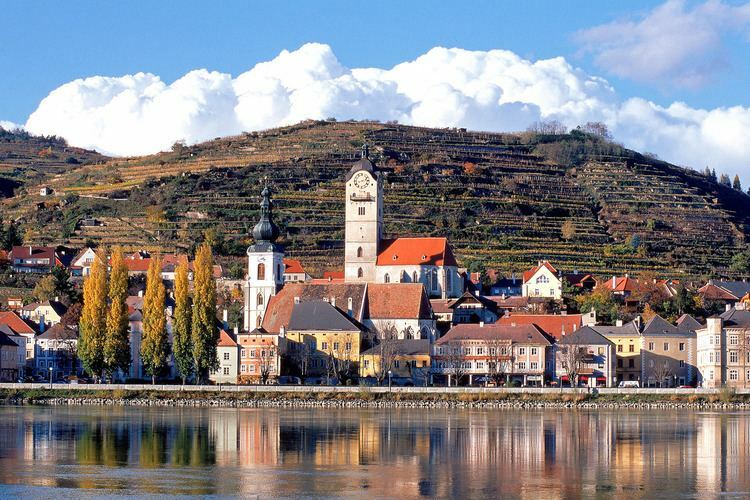 It is the fifth-largest city of Lower Austria and is approximately 70 kilometres (43 miles) west of Vienna. Krems is a city with its own statute (or Statutarstadt), and therefore it is both a municipality and a district. Krems borders the following municipalities: Stratzing, Langenlois, Rohrendorf bei Krems, Gedersdorf, Traismauer, Nußdorf ob der Traisen, Paudorf, Furth bei Göttweig, Mautern an der Donau, Dürnstein, and Senftenberg. Krems was first mentioned in 995 in a certificate of Otto III, but settlement was apparent even before then. For example, a child's grave, over 27,000 years old, was found here. This is the oldest grave found in Austria. During the 11th and 12th centuries, Chremis, as it was then called, was almost as large as Vienna. 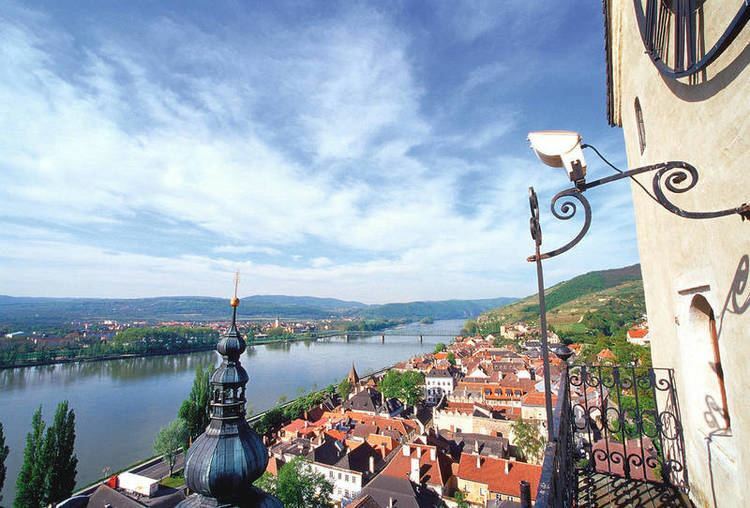 Krems is the primary producer of Marillenschnaps, an apricot brandy. Krems is the hometown of Martin Johann Schmidt, called "Kremserschmidt", the leading painter, draughtsman and etcher of the Austrian late Baroque. The population (with principal residence status) in the agglomeration was about 50,000 at the end of 2010. The city's main railway station is a junction of the Franz-Josefs Railway to Vienna, the Kremser Railway to St. Pölten, the Donauufer Railway to Spitz and the regional railway to Horn. It is at the intersection of the Stockerauer Speedway S5 and the Kremser Speedway S33, and is traversed by the Danube Road B3, the Retzer Road B35, the Kremser Road B37 and the Langenloiser Road B218. Krems is a junction of the Wieselbus bus lines, which provides radial connections between Sankt Pölten and the different regions of Lower Austria. Gneixendorf airfield is a small general aviation airport. A network of four bus lines operates at regular intervals within the city. Every summer, a tourist train connects the ancient parts of the city with museums, the central railway station and the passenger ship terminal of Krems. Municipal elections in Krems were held in October 2012. Justizanstalt Stein is a prison housing some of Austria's worst offenders. Swimming is available at Kremser Strandbad (indoor swimming pool) and outdoor. Matthias Abele (1616–1677), town clerk and writer of the 17th century.